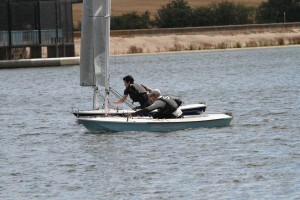 Day 1, Nationals, and the first sail at Chelmarsh saw gusty and variable winds. 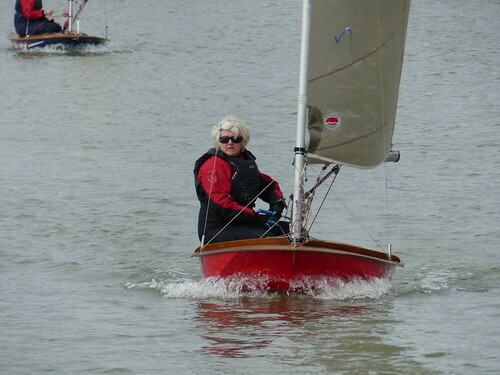 Over thirty boats – nearly a record for the class – took to the water. 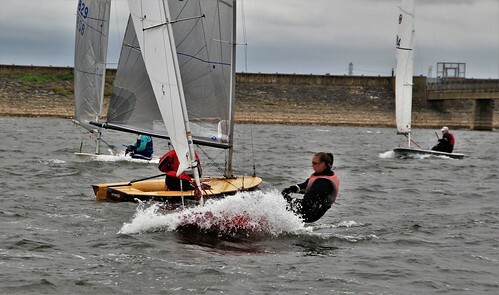 The usual suspects relished the conditions, while some of our newer competitors found them interesting. 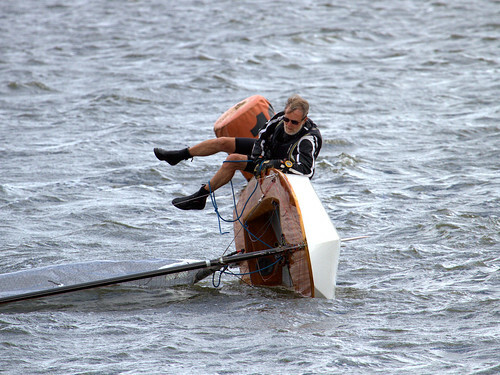 As per SOP, the lead boats in the practice race failed to finish – it is true that sailors are a superstitious lot. Race 1, Robbie Claridge took honours, ahead of Toby Cooper and Tim Davison. Amazingly, most of the fleet made getting the final line results difficult, crossing the line almost en masse. Day 2, Race 2, and the conditions could not have been more different – the RO postponed the race to give time for the wind to come in. 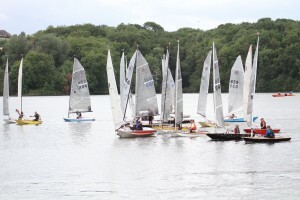 Further adjustments were made, but the fleet finally sailed, nearly an hour and a half after the registered start time. 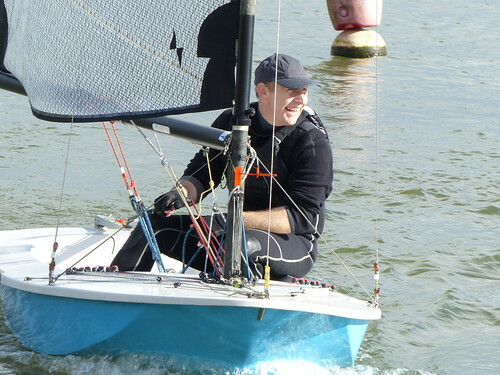 The lead boats showed their light wind skills, with Tim, Andy Mathews, and Robbie taking top positions. 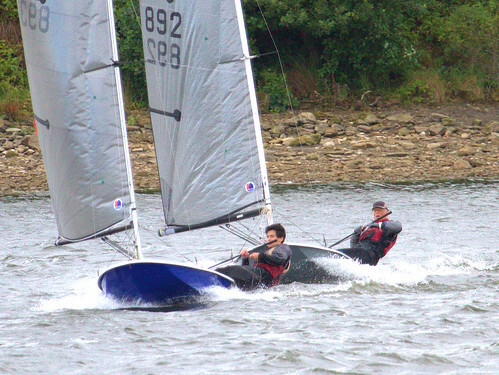 Race 3, the wind continued light and shifty, with a slight alteration meaning a change of course. 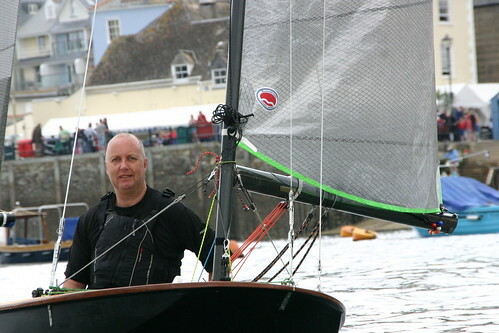 Tim finished first, Bob Suggitt second, and Toby third. 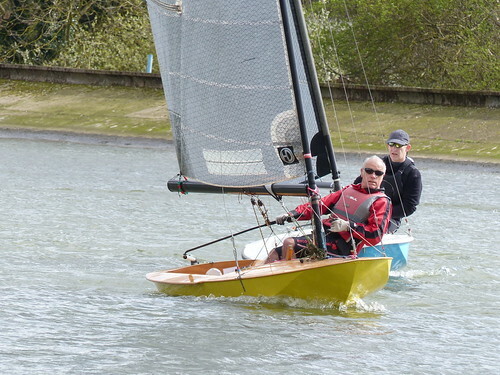 Race 4, the last race of the day, and the length of the day and the heat were beginning to tell on some of the less race-fit sailors. 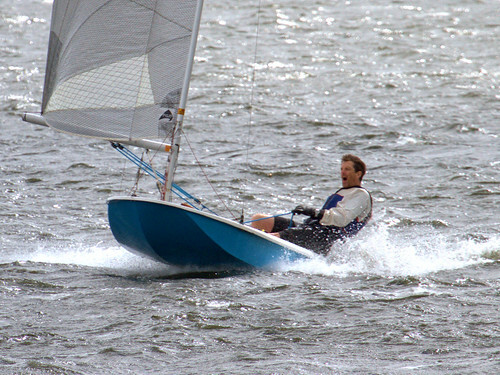 Toby prevailed over Robbie, with Andy third. 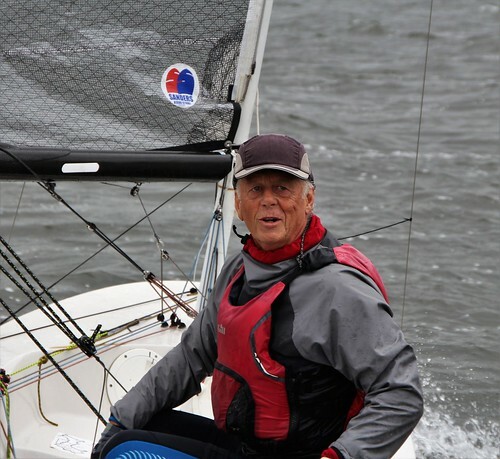 Day 3, Race 5: the weather, slightly overcast, brought fresh winds and some excitement. The overnight leaders continued their dominance, with Robbie, Tim, and Toby taking the top three positions. 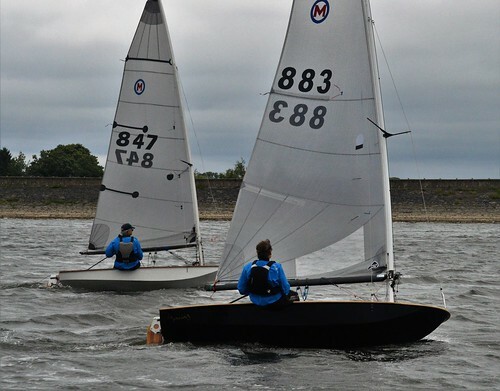 The Moth Nationals makes every effort to cater to all sailing tastes, and with Race 6, we managed to do it all in one race. 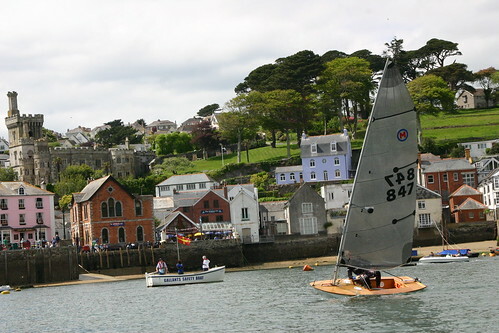 The start was the slowest of the championship so far, with thirty-one boats trying to cross the line and find wind at the same time. 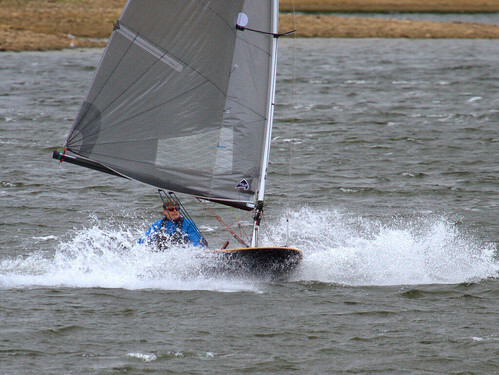 The wind improved, giving some decent gust and finally separating the fleet, but towards the end of the second lap, the heavens not only opened, it was impossible to see the boat in front because of rain. 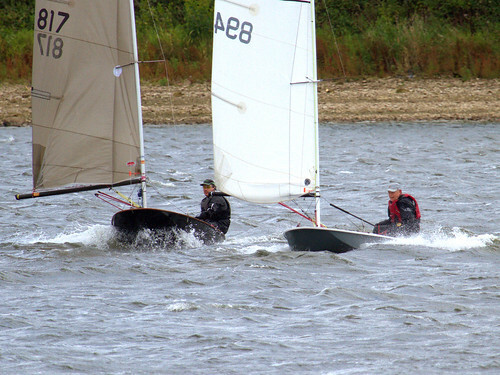 The race was shortened, leaving Toby ahead of Robbie, and Colin Hall third. Thanks to Peter Styles, who has provided photos to date. To view some of the highlights, click on the picture..